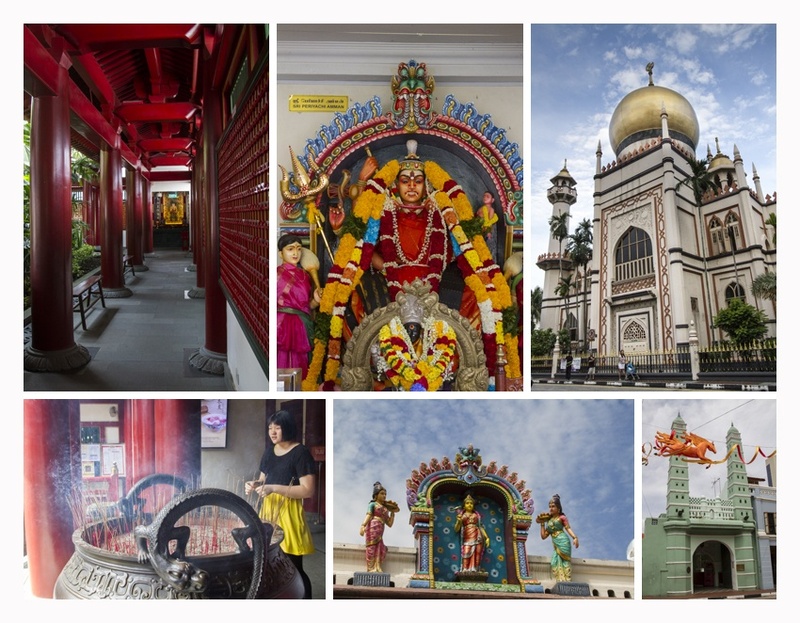 The city-state of Singapore is a fascinating mix of an old Victorian English territory and the mix of ethnic peoples that have lived there for centuries. Not only does the architecture reflect this, but so does the language. In Singapore, everyone learns English; it’s compulsory. It is also one of the cleanest countries you are going to find anywhere in this world. I never saw one piece of trash. There are ample garbage cans, and people are given fines for doing things common in other Asian countries such as spitting. 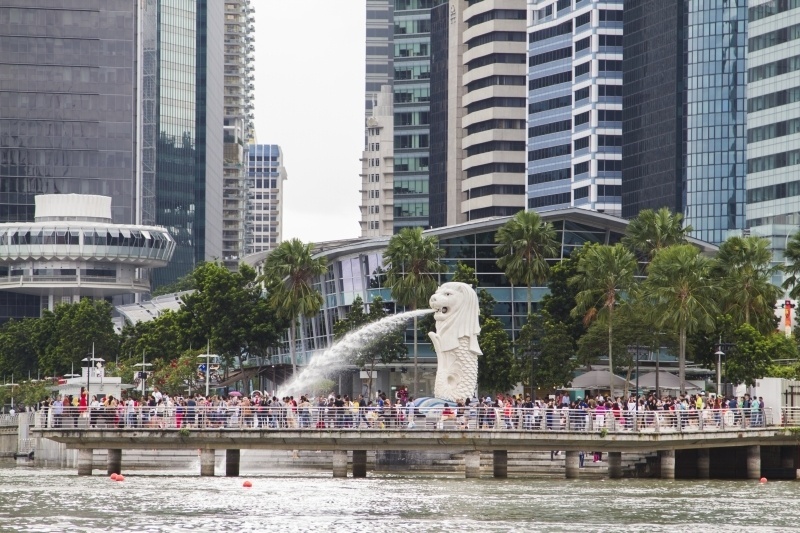 For travelers heading to Asia for their first time, Singapore is a must. It deftly bridges the western and eastern cultures and it provides a rich mixture of sights, foods, and things to do. There really is something for everyone, even the kids! 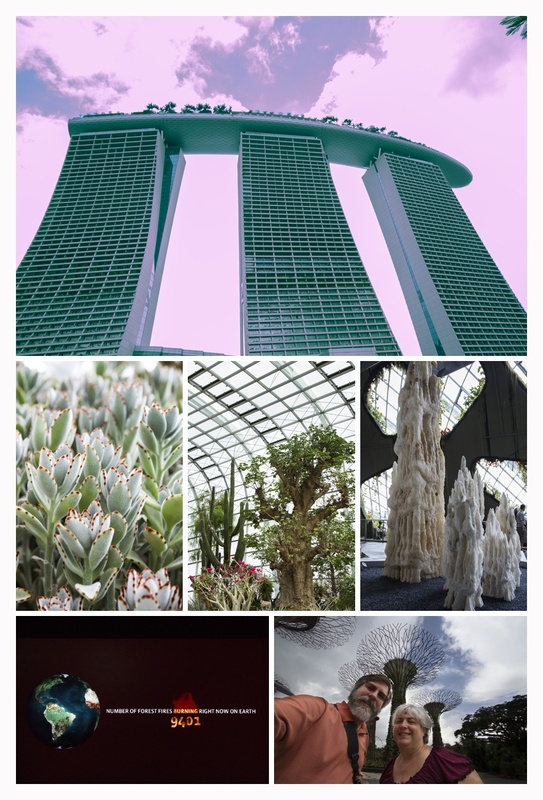 There is so much to do packed into a relatively small space, that we compiled our Top 10 Singapore! What is your favorite activity on our list? We like to stay right in the middle of things and have stayed in Clarke Quay, the Muslim Quarter, all over. To check on up to date hotel prices, click here. 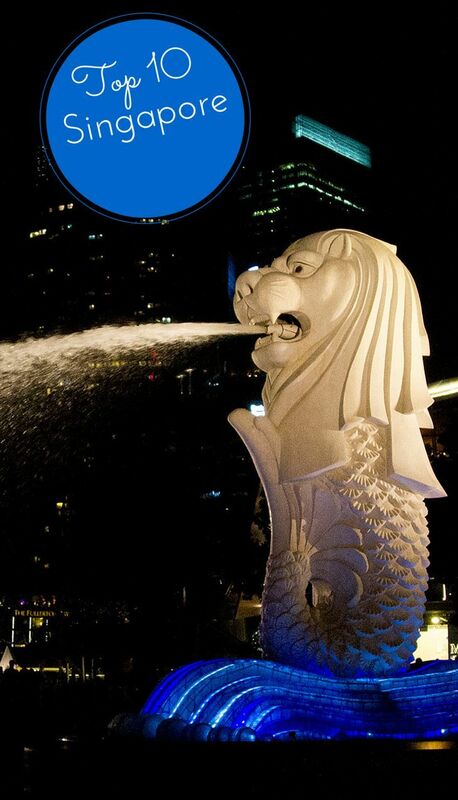 Go see the Merlion, a Singaporean highlight. He’s been dropped, moved, touched, and loved for decades, and he always looks great at night! Look at all of his admirers! Have an original Singapore Sling at the famous Raffles Hotel or wander around and look at the old world grandeur of this first Singaporean hotel. Gawk at the Art. 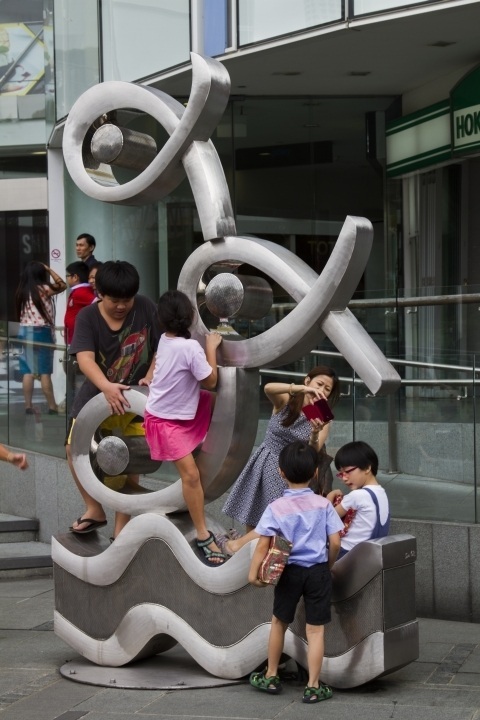 Singapore is full of street art and sculptures everywhere you look. 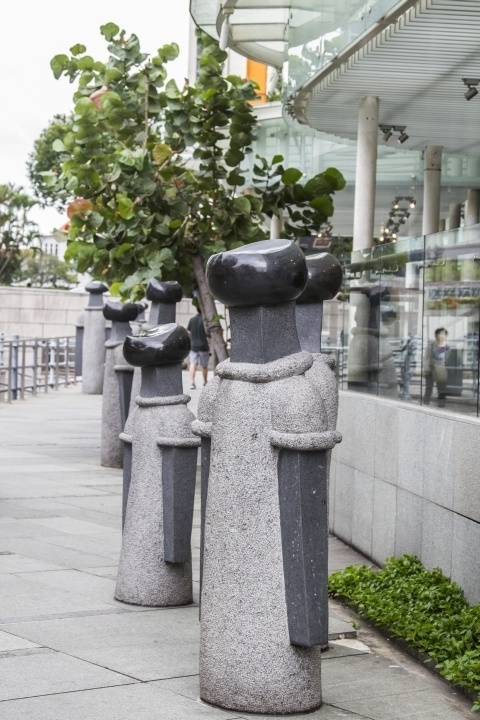 The sculptures depict life on the quays, families, cultural diversity. They are there for everyone to enjoy, like these kids. Ride a Bum Boat. What is a bum boat? It’s a traditional skiff that carries folks from one end of the quay to the other. Singapore has a system of water taxis, which are pretty luxurious as well as convenient and you can also use a bum boat for this purpose. 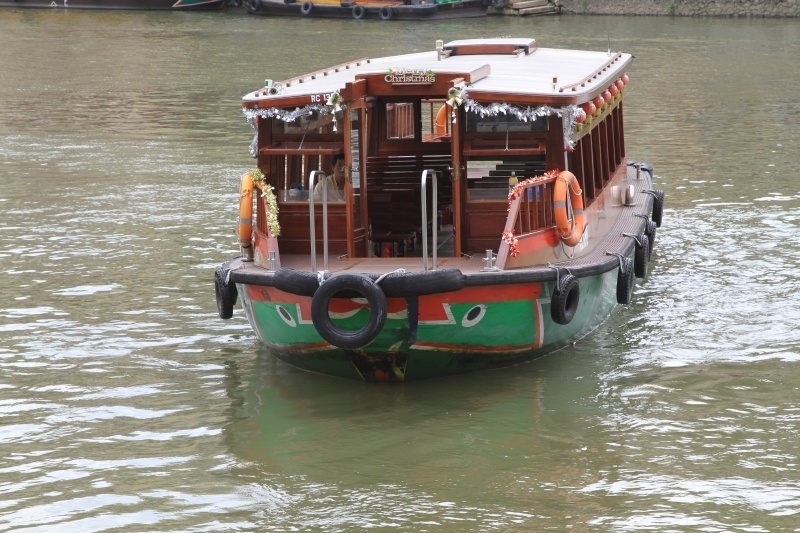 However, most visitors like to get on a bum boat and take the river cruise, a narrated trip along the river. A video plays throughout the ride recounting bits of history, both political and anecdotal of the region. Eat some delicious food! We’ve written much about the food in Singapore, such as the iconic chili crab. Plenty of restaurants, plenty of food stalls, plenty of durian and other exotic fruits, but did we mention the fruit juices? Located so close to the equator, it is hot and steamy all year round and the juice stalls provide not only a needed service, but a myriad of new tastes. 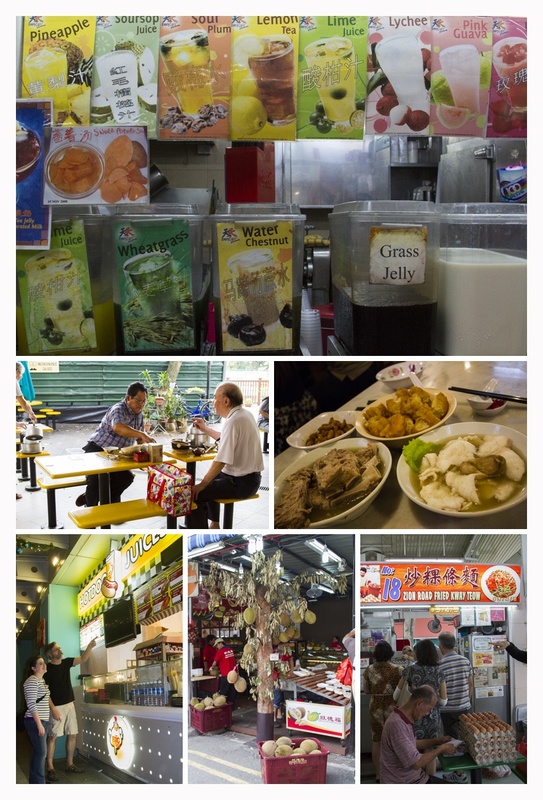 In Singapore there’s a food for every taste from dragon fruit, to carrot cake, and Bak Kut Teh is available. Visit a religious building. There are not many places in the world that there is such tolerant religious diversity. On one street, you can see a Christian church, a mosque, and a Buddhist temple. We went from visiting the Temple of the Tooth, where we gawked at one of Buddha’s teeth and spun an over-sized prayer wheel to the Miraman Temple where we marveled at the numerous gods and goddesses that adorn every nook and cranny of the famous temple. Go to a museum. Singapore is full of interesting museums. There’s probably too many to do in the time you’ve allotted, but just pick out some of the best ones. Our favorite was the Peranakan Museum with its display of mixed cultural life throughout history of the country. Relax at the Marina Bay Sands Hotel, where you can sip cocktails on the 57th floor, walk around the amazing Gardens of the Bay, or shop,shop, shop! Stick around or come back later for the amazing light and sound show that plays out over the bay and across the city skyline. Take public transportation, the cleanest in the world. The bus and metro system is so easy to use. The entire city is well covered, you’ll be able to find a bus stop or metro stop within one or two blocks max. Riding a bus through the city, even with no real destination, is a cheap and easy way to get the lay of the land, and the bus drivers are some of the most helpful. Shop until you drop! From landing at the snazzy Changi Airport to malls, markets, stalls, temple sales, Singapore has a myriad of shopping opportunities, and as I said above…everyone speaks English! Have you been to Singapore? If so, what was your favorite thing to do there? What would be your top 10 Singapore? 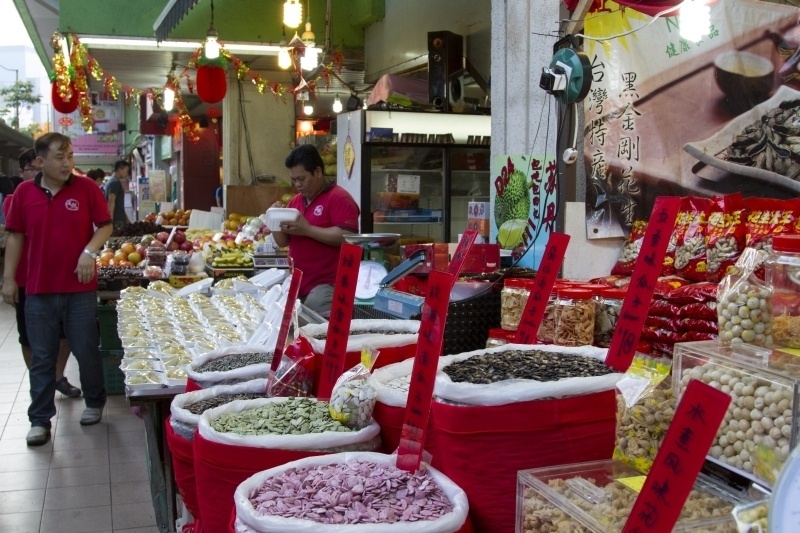 Singapore sounds interesting I think if I were to go I’d love to try loads of street food. In Europe they always tell you never to buy food from street vendors but I think it’s just a way to force you to buy more expensive “brand” food they can levy taxes on in Tunisia and Libya and Egypt I’ve tried street food and it’s always delicious and I think you get a real taste of the country. I’ve seen many pictures online of street kitchens I’d be curious to check them out. Jameela, And I also find street vendors, if they aren’t too busy, are more willing to talk and smile and enjoy your reactions to their food. It’s a bit more personal. Singapore was our first stop on our big round the world journey. We were still getting the feel for being travelers, and sure missed a lot of the sights here. We didn’t miss the clean. For us, Singapore was a wonderful transition city into Asia. Rhonda, I think Singapore is perfect as a transition city for those leery of traveling in Asia. It’s perfect. Muza-chan, It’s a great city! Go. Mike, I would have loved swimming in the pool, too! Singapore is such an exciting city which I always enjoy exploring. No mention of Orchard Rd here, surely one of the reasons so many people visit? Also did you know that the white lion statue was nearly removed a few years ago. I’m glad they didn’t because for me this is the symbol of Singapore, like the Opera House in Sydney. I often use the metro, if nothing else for the air con and to escape the extreme humidity for a while. Guy, Orchard Rd. is great, but it’s mostly shopping, which I don’t do a whole lot of…we just eat a lot! I’ve been to Singapore about five times, always as a one to three day stopover. 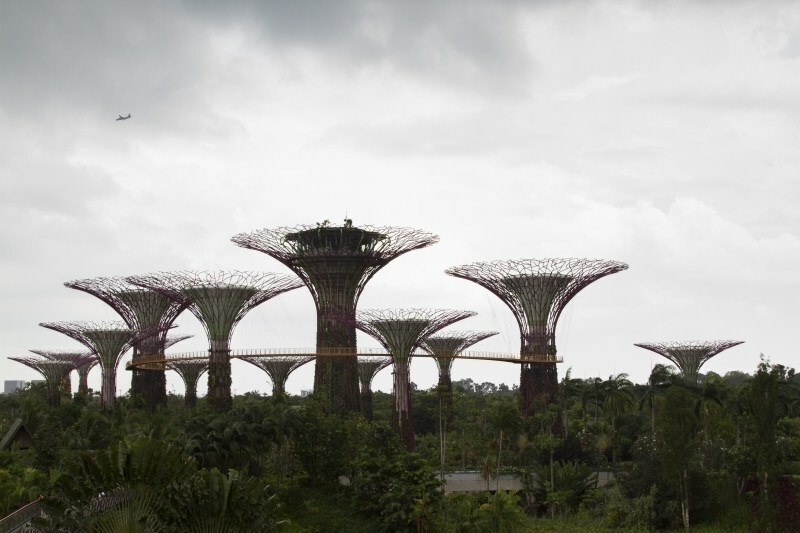 I like Singapore – the only thing I don’t like is the hot humid weather. I particularly like eating at food courts in shopping centres – the food is so tasty and cheap. 40 years ago I went to Sentosa Island – I hate to think what it looks like today. We’ve visited the zoo and stayed in places in china town where the walls did not reach the ceiling (air flow). 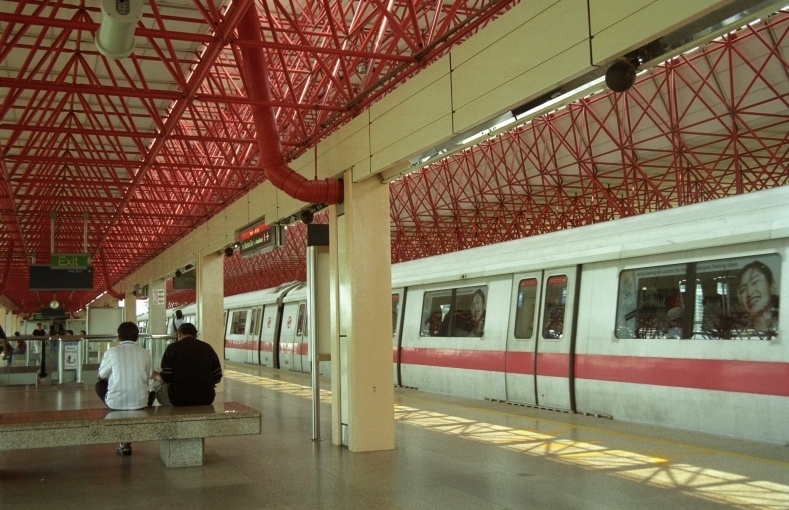 Love Love the MRT. Especially the Metro on a hot day or to save money from the Airport. 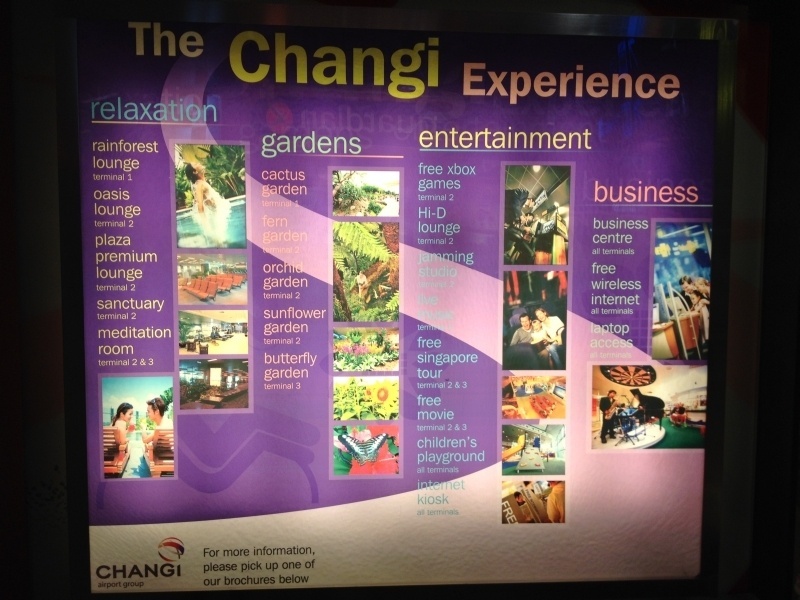 Great ideas on enjoying Singapore. Jan, Can you believe I’ve never been to Sentosa? I think it’s become so commercial! Singapore sounds nice and I’ve heard that it is a favored place to live for working English-speaking expats in Asia. I would definitely visit but Ethan and I fear it might feel a bit too sterilized (and expensive) after visiting other parts of Asia (Korea, Cambodia, Vietnam). I agree that it is probably a great first stop in Asia for those who want some time to adjust. Jessica, Yes, it’s a great first stop, it is a bit sterilized, but it’s also a nice little getaway as well. Keep that in mind! 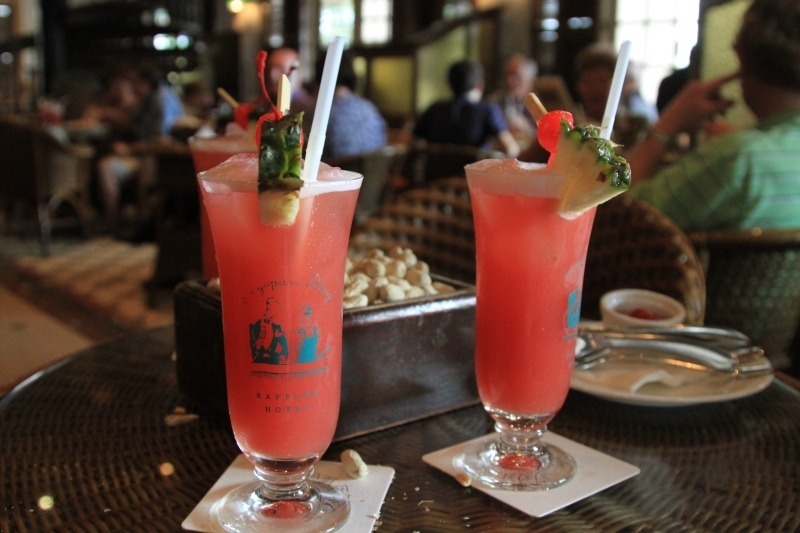 I LOVED sipping Singapore Slings at Raffles, one of my favorite Singapore memories! We were only there for 24 hours for a layover, but next time would love to check out the hotel with the pool on top, for sure! Jess, It’s a beautiful hotel! I have been to Singapore quite a few times. It is indeed a great city. I did most things on your list during my past visit. Getting out of the city to one of the little islands is something I also always enjoy. Freya, I really think it’s a beautiful city with a lot going on. We enjoy it! Lisa, I hope you make it there. There’s plenty to do and see! I am a traveler who loves traveling and exploring. If I go to singapore, I like to take a boat trip, take a stroll around the hotel, enjoy good food, try the subway and public transport here. Surely these are the best fit. Thank you for introducing. I agree. Getting to know the area and taking all kinds of transportation to get around is the perfect start to visiting Singapore.